Dr. Michael Furlong is a board-certified ophthalmologist specializing in Advanced Topography-Guided LASIK, PRK, Refractive Lens Exchange and Laser-Assisted Cataract Surgery with Advanced Lifestyle Lenses. A former LASIK patient himself, Dr. Furlong enjoyed his results so much that he dedicated his practice to the magic of advanced vision correction procedures. 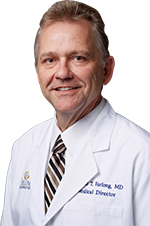 Dr. Furlong established Furlong Vision Correction in 1998 and has performed more than 43,000 refractive and small-incision cataract surgeries to date. His greatest pleasure is listening to his patients describe the excitement of waking up the morning after their surgery and being able to see clearly without glasses or contact lenses for the first time in years. Dr. Furlong meets and works with each of his patients personally throughout the entire vision correction. His personable approach allows you to ask the right questions and his honest answers allow you to make the right decision about your eyes. A graduate of Stanford University, Dr. Furlong received his Bachelor of Science degree in 1988. He earned his MD from the University of Hawaii in 1992, graduating in the top 10 percent of his class. He was elected to membership in the Alpha Omega Alpha Honor Society and earned both the B. Kent Bennett and the V. Edward Franchville awards for outstanding medical student in the field of ophthalmology. He completed his internship at the University of Hawaii in internal medicine and surgery. 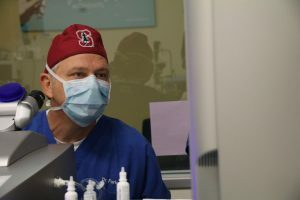 Following medical school, Dr. Furlong completed a three-year residency in the ophthalmology program at the University of Utah Moran Eye Center, one of the most competitive surgical training programs in the country. Dr. Furlong elected to further his formal education with a one-year refractive surgery fellowship at Canada's prestigious eye institute, the Gimbel Eye Centre. During this additional full year of formal LASIK training, Dr. Furlong studied under Dr. Howard Gimbel, one of the world's leading authorities on refractive surgery. Following this specialized training year, he traveled to Bangkok, Thailand and China to train foreign ophthalmologists in the most current refractive surgery techniques. 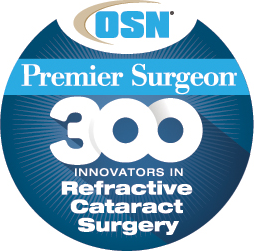 He has also co-authored several articles and book chapters on refractive surgery. Dr. Furlong has been voted Best Vision Correction Surgeon for two years and received the 2018 Business Journal Excellence in Healthcare Award. 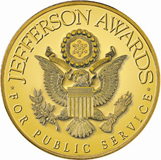 In 2011, he received the prestigious Jefferson Award - the "Nobel Prize" for community and public service - for the Furlong Vision Correction charitable Gift of Sight program, which provides LASIK to qualified and deserving patients. 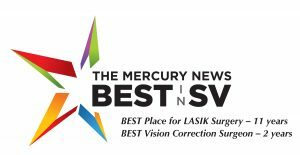 Furlong Vision Correction has been voted Best Place for LASIK in the Silicon Valley for eleven years in the Mercury News Reader's Choice Awards. 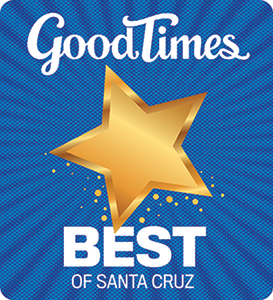 Santa Cruz Good Times readers voted Dr. Furlong Best Lasik Doctor for five years running. about transforming your life through excellent eye care and exemplary service. to providing you with the time and attention you deserve to make the right choice for your eyes. to treating you and your referring doctor with enthusiasm and integrity so you want to share your experience.